Yesterday was cold and rainy in Southern California. 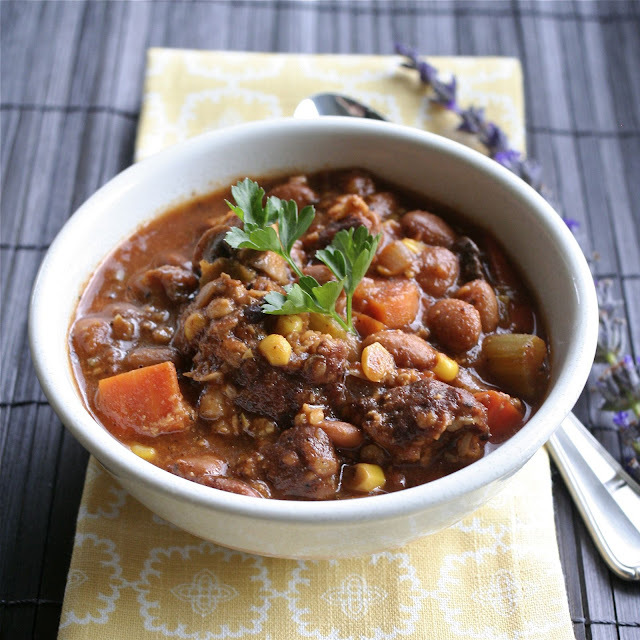 A perfect day for Vegetarian Chili. And some cornbread to go along with it. Start out with 4 cups dry pinto beans or whichever is your favorite. Quickly sort through them and remove any rocks or damaged beans. You can use canned beans, but I really like the bite that dried beans have, they're not mushy like the canned ones can be. But you can't beat the canned ones when you don't have a lot of time! Cover generously with water and put on the stove to boil. After the beans boil, turn the heat off and cover for one hour. Drain beans, cover with water and bring to boil. Someone once told me that draining the water twice makes the beans less...gassy. Cover them with water for the last time and when they come to a boil, reduce heat and simmer for about an hour until tender. Chop the celery, carrots and onions. I also added a whole head of garlic that I roasted in the oven a few days ago. It makes the garlic very mild and smooth. In the meantime, skim the foam off the beans. Seed and chop the jalapenos. My dad says they come from Mexico this time of year and they're mild, but I took the seeds & veins out for my family members that don't like heat. It's always a good idea to wear kitchen gloves when handling jalapenos. The juice from them can sting your skin if you're sensitive, don't touch your face, especially your eyes. I like to chop them pretty small. Saute the vegetables in a little bit of olive oil and add a little salt and pepper. Saute until the vegetables are just starting to gain some color, then add them to a large pot with the tomatoes. My mom brought these over the other day. My dad grew them last summer. They're so sweet! My dad grew this corn, too. My mom blanches it, cuts it off the cob, freezes it, and shares it. Adding a beer to the broth gives it a nice flavor. So does adding a couple of bay leaves. Gather your spices: 1 tablespoon chili powder, paprika, sweet basil and oregano, 1 teaspoon cumin and 1/4 teaspoon cayenne pepper. Add the spices and let the flavors blend and meld together, simmering for about 15 minutes. 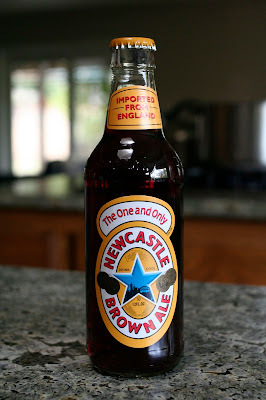 I like a full-bodied flavor for the broth, so I added 1 tablespoon pasilla chili powder and another beer. It was a big pot. 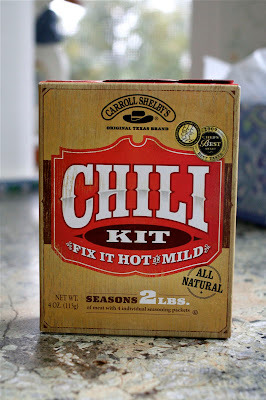 If you don't want to mess with all the spices, I like this chili mix. 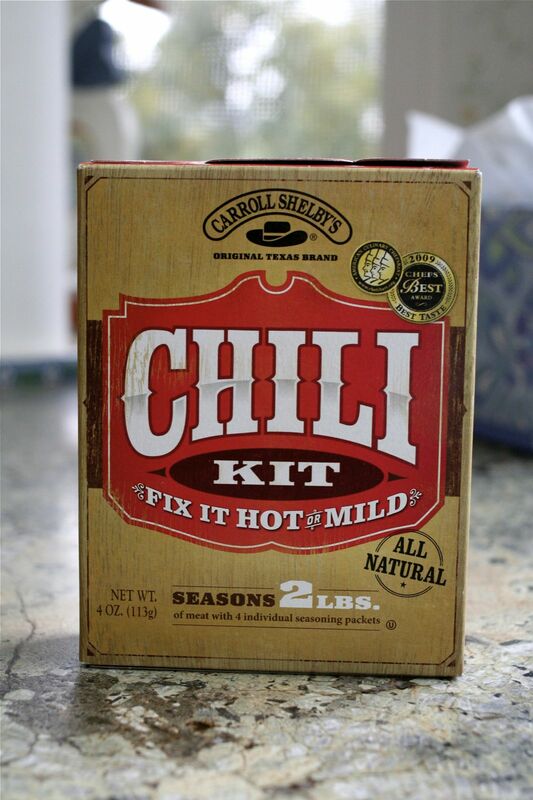 One thing that makes Carroll Shelby's Chili Kit so good is it contains masa flour. I keep mine in a zip lock bag in the freezer. Measure 4 tablespoons into a small bowl. Add some water to make a slurry. When the mixture comes to a boil, slowly drizzle in the masa flour & water, stirring constantly. It's going to add flavor and thicken the chili. I also added three Morningstar Farms Black Bean Burgers that I had in the freezer. Have you tried them? They're good. I think they're a lot better in vegetarian chili than the soy fake meats. Defrost them in the microwave and give them a rough chop. I separated the chili into two portions. One has the black bean burgers and the other has some chile verde I had in the freezer. One to keep at home and one to give away. My husband actually preferred the vegetarian one! Here's a quick cornbread recipe that I've been making for years with occasional variations now and then. Sometimes I add a can of creamed corn or some grated cheese. This time I didn't have any Bisquick and used a whole grain pancake mix I bought at Trader Joe's. My husband liked it better than the Bisquick one! Spray a baking dish with non-stick spray, pour the batter into the pan. It's a little denser with whole grain mix rather than the Bisquick. Serve chili garnished with a little sour cream or cheese. Along with cornbread with a nice, green salad, it makes a warm, satisfying meal. 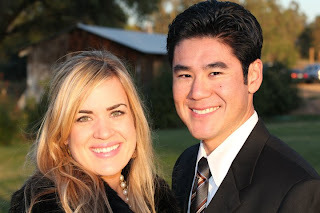 Last night we spent a fun evening with Rick's girlfriend, Jessica. She stopped by after work with a nice card and gift for us for helping her move over the weekend, and stayed for our chili dinner. Jessica is a lovely young woman and we are delighted to get to know her. She plays soccer, is a cyclist, a painter, loves English dramas, makes jewelry and photo books--she has endless talents. Thanks, Jessica, for brightening our evening! I once soaked black beans and then didn't have time to cook them so put them in the fridge. did that four days in a row... by the time I cooked them, there were no farts left! Also, my mom once wiped her eye after chopping jalapenos... not good!! Thanks! The recipe looks wonderful! Carol! LOL! That is so funny! I'm going to try soaking them in the fridge! I hate soaking beans! Such a pain! But your chili looks awesome! Your chili looks amazing. The black bean burgers are brilliant! protip: if you use a pressure cooker, you only need to soak most beans (not sure about the really large/hard beans like fava) for like 15-30 minutes and then do the rest in the pressure cooker in less than an hour. i coincidentally made a big pot of chili a week and a half ago. it was some of the tastiest i've made. my spices included: ground cloves, cumin, oregano, laurel, smoked paprika, cayenne, chili powder, korean chili flakes, chicken bouillon powder, black pepper, ground star anise, garlic powder. i don't like beer in my chili. but i used about a cup of pretty good red wine. 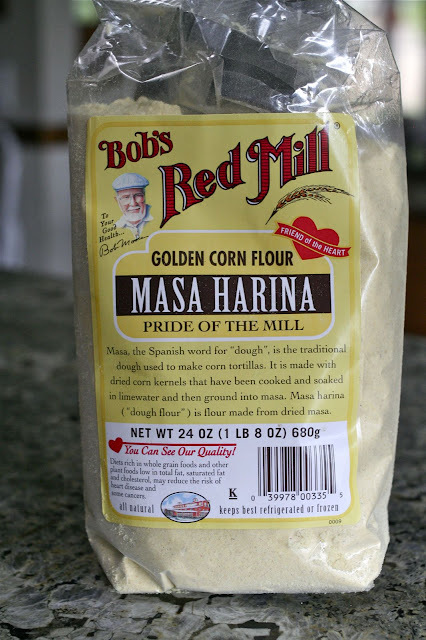 and i prefer coarse grits instead of the fine-ground masa, cut about 1:1 with wheat flour. You know morningstar farms black bean burgers contain egg whites, right. Almost all morningstar farms products contain egg.